NEW YORK (Dow Jones)--Gold ended lower after several large hedge funds, including one controlled by billionaire investor George Soros, disclosed they had slashed their holdings of the precious metal. Gold for May delivery settled down $10.60, or 0.7%, at $1,479.80 a troy ounce on the Comex division of the New York Mercantile Exchange. The most actively traded gold contract, for June delivery, ended down $10.60, or 0.7%, at $1,480.00 a troy ounce. Soros Fund Management said late Monday in a securities filing that it sold 99% of its stake, or 4.7 million shares, in exchange-traded fund SPDR Gold Trust (GLD) in the first quarter. The shares sold were worth $680 million based on Monday's prices. However, gold prices averaged slightly less in the first quarter, so Soros's take could have been smaller. As of March 31, Soros held just 49,400 shares valued at $6.9 million of the fund, which is backed by physical gold. The news sapped confidence among gold investors because Soros had led the charge on gold over the past two years, aggressively purchasing the precious metal even after calling it "the ultimate asset bubble." "I assume he was sitting on a gigantic mountain of profit in that position and the prudent thing to do would've been to book some of it," said Matt Zeman, head of trading at Kingsview Financial. "Because he's leaving, you're going to see a lot of small speculators jumping ship." Another closely watched hedge fund, Eton Park Capital Management LP, cut its SPDR Gold Trust stake in half by selling nearly 2.2 million shares to keep just 2.3 million shares, as of March 31. Eton Park, run by former Goldman Sachs trader Eric Mindich, had first disclosed the gold position in the second quarter of last year, buying 6.6 million shares. The sales have pressured SPDR Gold Trust's gold holdings lower during the first quarter, with ounces in trust down 5.4% in the period. 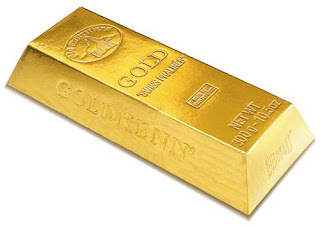 While redemptions have accelerated in the recent months, the ETF's gold holdings began to trickle out after peaking in late June of last year. At the time, gold prices had hit $1,200 an ounce for the first time and some investors first moved to cash in gains. "Psychologically, this probably takes a bit of a toll, even though we kind of knew this already," said Bill O'Neill, a principal with LOGIC Advisors. However, not all marquee-name hedge funds are cutting back on gold. John Paulson's fund Paulson & Co., one of the world's largest hedge funds and the largest investor in GLD with almost 8% of shares outstanding, has kept its stake unchanged at 31.5 million shares. Paulson had garnered fame throughout the financial crisis by making large bets against sub-prime mortgages. Paulson had told investors two weeks ago that gold prices could reach $4,000 an ounce over the next three to five years due to loose monetary policy in the U.S. and U.K., the Wall Street Journal reported. Analysts at Standard Bank on Tuesday reiterated the view that gold is worth buying at prices below $1,500, noting that the $1,480 level represents a strong support. Investors are still seeking out gold to hedge against both inflation and turmoil in other markets. Physically backed gold ETFs saw net inflows of 123.1 metric tons in the week ended May 13. The weakness in gold spilled over into silver futures, with July-delivery silver ending down 64.1 cents, or 1.9%, at $33.491 a troy ounce. May-delivery silver was down 64.1 cents, or 1.9%, at $33.488 a troy ounce. Silver remains vulnerable to sharp declines. Investors are jittery after the correction earlier this month, which knocked 27% off the metal's value, sending prices off 31-year highs. Zeman said the "bleeding" in silver is likely to stop once the metal falls closer to $30. Precious metals prices remained subdued even as the dollar reversed course in afternoon trade. The ICE Dollar Index was recently at 75.585, down from 75.612 late Monday in New York. Investors holding foreign currencies favor dollar-denominated gold and silver futures when the dollar weakens, as the contracts seem cheaper.